Can soul come from a ukulele? It sounds like the start of a really bad joke, but nothing more satisfying comes from joining the two. 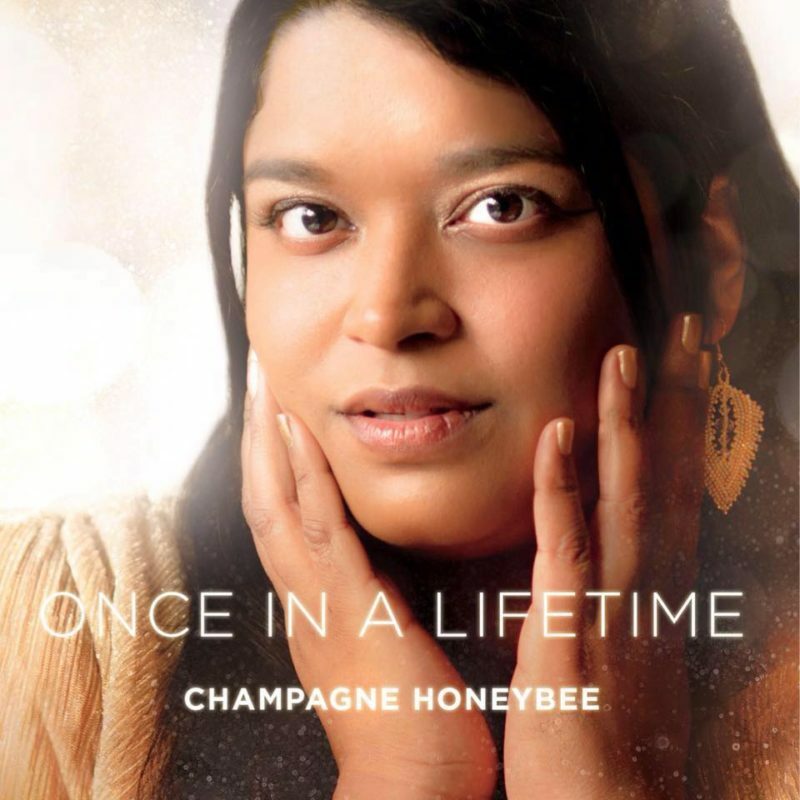 I first discovered Champagne Honeybee watching a little known local program called “Band in Seattle.” I was skeptical, but the moment Rani Weatherby’s vocals hit, you are awash in soul, honeyed caramel alto-esque deliciousness. At times invoking greats like Aretha Franklin, yet in the tender moments there are impressions of Karen Carpenter. Few singers can emote between the tender soft moments and deliver power when a song calls for it. Rani does both. Not only is she a skilled vocalist, but a fantastic songwriter as well. This EP, Once in a Lifetime, feels more like a sampler of a larger work. It opens with the brash “Once in a Lifetime,” moves into the deeply bluesy “Wrong Turn,” and finishes out with the heartfelt “Last Smile.” 13 minutes flies by and feels like just a few minutes. Each song is well written and beautifully sang. Never once does the richly produced “Once in a Lifetime” overtake Rani’s voice, which I’m not sure would be possible. I believe that Rani may be right, she’s not one in a million, but once in a lifetime songwriter to come out of the Pacific Northwest.